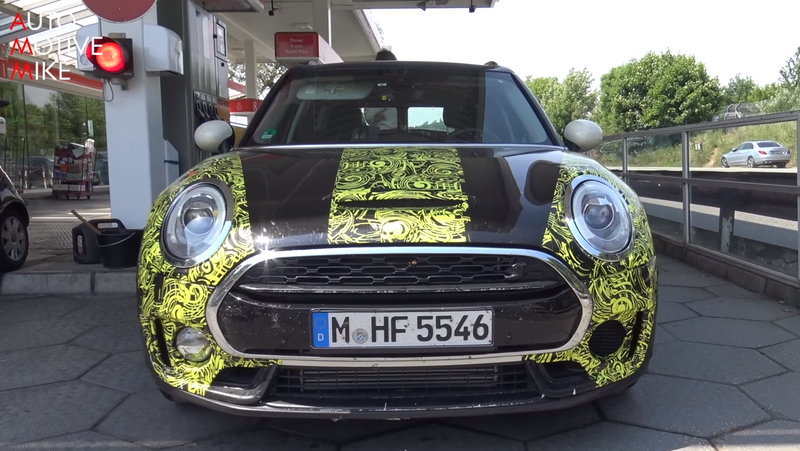 Mini is apparently finally out testing the long-rumored hot-hatch with over 300 horsepower on the Nürburgring, and it sounds great. It seems we’ll be getting Mini’s answer to the Focus RS soon enough. A Mini with over 300 horsepower has long been discussed, with rumors dating back all the way to 2015 that the new Clubman would be getting an updated version of the 2.0-liter turbo-four found in the BMW 330i. The discussion back then was that, like its Focus RS and Audi competition, the high powered Mini would be equipped with Mini’s All4 all-wheel drive system. The 2.0-liter in the BMW currently only makes 248 horsepower with a 0-60 mph time in around 5.4 seconds, so it will be interesting to see how much quicker more power and an all-wheel drive setup will service the new spicy Clubman. There’s just one problem with Mini’s new hot hatch; the Clubman isn’t a hatchback.